Posted on 31, May 2016 by EuropaWire PR Editors | This entry was posted in Law, Non Profit, Society and tagged human rights issues in Dushanbe, Markus Mueller, Nigina Bakhrieva, OSCE, Sharaf Karimzoda, Tajikistan. Bookmark the permalink. Dushanbe, Tajikistan, 31-May-2016 — /EuropaWire/ — Some 90 participants, including government officials and civil society representatives, are coming together in Dushanbe today for a meeting organized by the OSCE Office in Tajikistan to discuss human rights issues specific to the country, ahead of the annual OSCE Human Dimension Implementation Meeting in Warsaw. The Dushanbe meeting is the tenth of its kind, and this year it will focus on reviewing progress made by the Government in implementing recommendations that have been produced during these meetings. Participants will discuss progress made by the Government in preventing torture and in ending gender-based violence and the way forward. They will also revisit issues that still require clarity and progress such as the freedoms of association and of the media. The meeting’s agenda was developed in a collaborative process facilitated by the OSCE Office. “What emerges from this meeting has been changing over the years. But there is always one constant: This meeting provides opportunities to strengthen co-operation between government and civil society,” said Markus Mueller, Head of the OSCE Office. 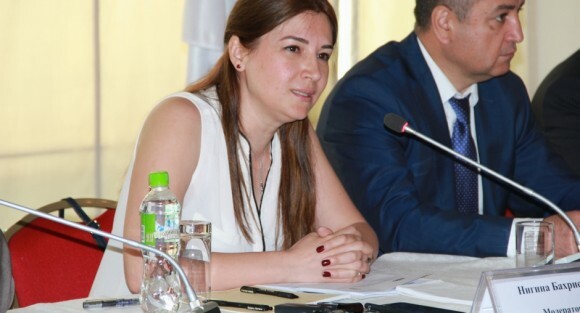 The event in Dushanbe was organized by the OSCE Office in Tajikistan, the Department on Human Rights Guarantees within the Executive Office of the President, in co-operation with civil society organizations from all the country and the Human Rights Commissioner. The two-week Human Dimension Implementation Meeting takes place in Warsaw every autumn and is organized by the OSCE Office for Democratic Institutions and Human Rights (ODIHR). It is Europe’s largest annual human rights conference, bringing together hundreds of government officials, international experts, civil society representatives and human rights activists to take stock of how states are implementing their commitments in the human dimension.